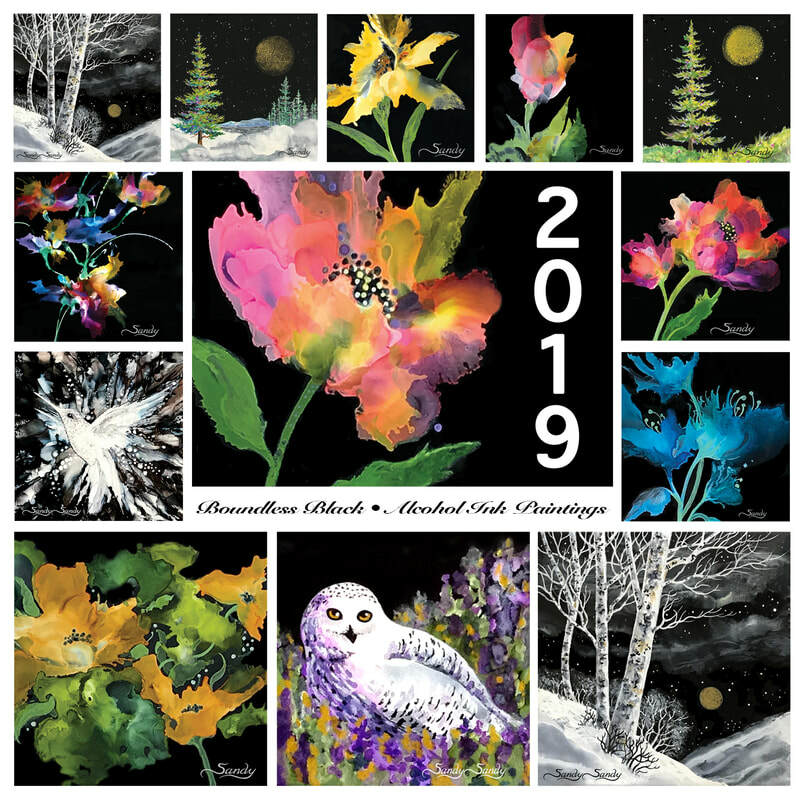 These calendars make powerful gifts for yourself and for all the art and nature lovers on your gift list! They are here for a limited time only, so get yours now, while supplies last. Shipping Available to USA and Canada • Local? Call to schedule studio pick-up and save shipping costs! 2 0 1 9 Desk Calendars • SOLD OUT! glossy card stock, and features 13 paintings done in Alcohol Ink. It's sure to lift spirits and enliven any area. 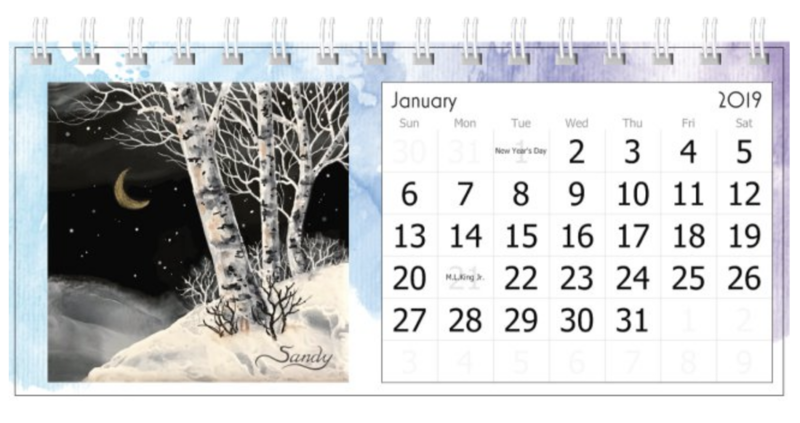 This little calendar makes a great hostess, co-worker, neighbor, teacher, Pollyanna or client gift. It's also a unique stocking-stuffer, sure to be appreciated by all the art and nature lovers on your holiday list! Order Early! All 2015, 2016, 2017 and 2018 Calendars SOLD OUT FAST! Classic Wall Calendar - 8.5 x 11"
Mini Wall Calendar - 6.5 x 8.5"
These wall calendars, Classic or Mini, are spiral bound on premium, heavy weight, glossy card stock. It has a mat surface on the calendar side for easy jotting . 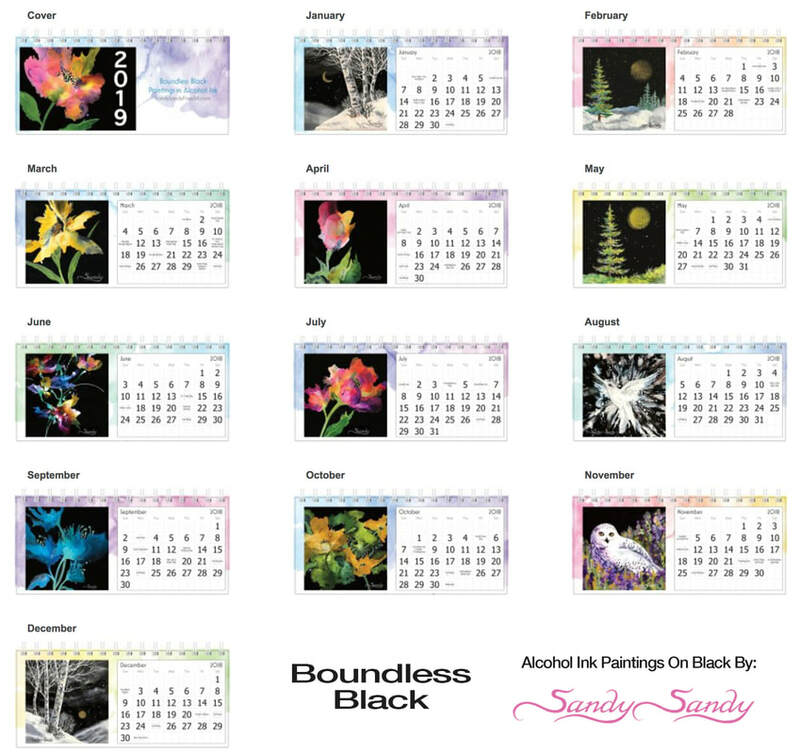 These calendars come in two sizes and features 13 paintings on black substrates by Sandy, all done in the exciting medium of alcohol ink!